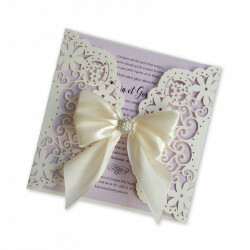 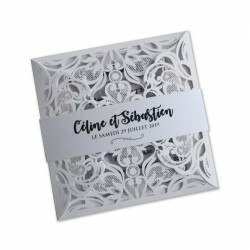 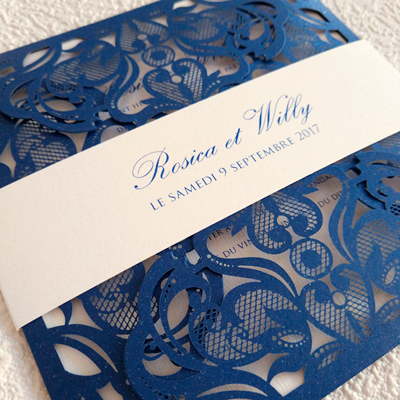 Dentelle, lace, or laser cut wedding invitations have become very popular this year with technological improvements we are now able to create small detailed cuts into the paper or card. 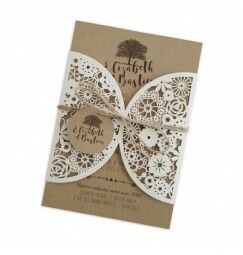 Since 2016 we have been producing this type of stationery. 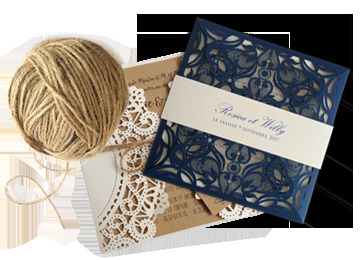 You can find below creative dentelle wedding collection. 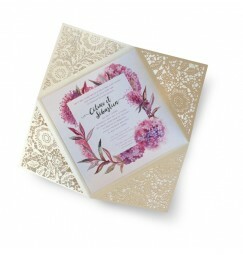 With most of the examples below we have leaned towards the vintage theme adding a printed kraft card, however as with all our stationery this can be change. 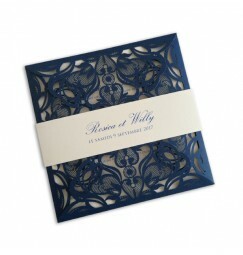 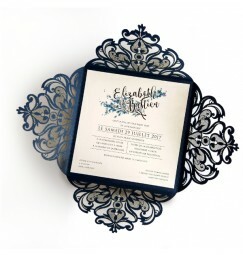 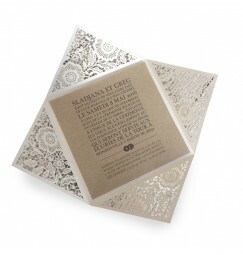 A laser cut lace invitation can add elegance and sophistication to any wedding theme. 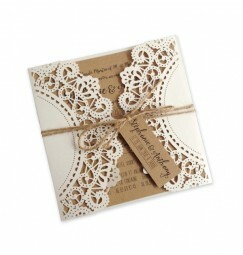 By adding a kraft card and a mix of fonts we can push the lace exterior into a vintage or champetre style or theme. 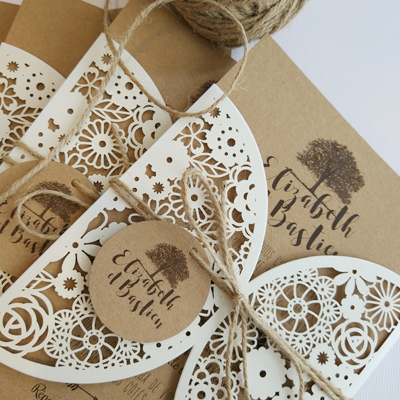 In changing the inner card to textured white and then choosing a traditional script font the invitation changes from a rustic vintage style to elegant classic. 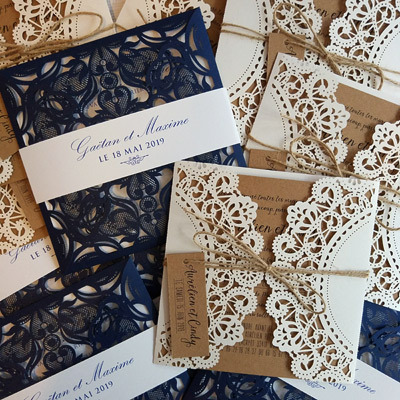 When choosing lace there are endless possibilities. 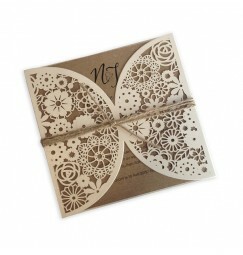 Let your imagination go. 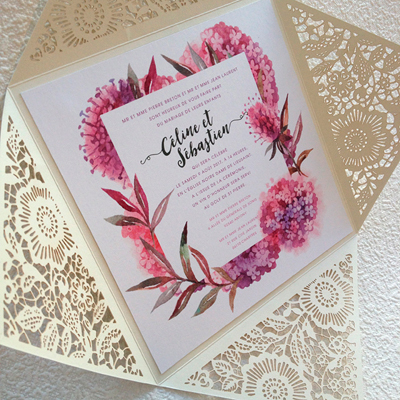 Be inspired by our models and don't be restricted by the printed card or the fonts, these can be altered to make the perfect lace wedding invitation.